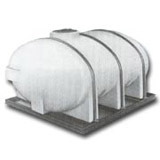 These Large Plastic Tanks have an elliptical construction that allows them to store a considerable amount of liquid, while still keeping them low enough to be mounted onto trucks for non-DOT regulated transportation. 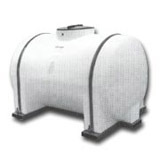 Depending on the type of liquid you need to store and its specific gravity, these tanks are available in both a commercial and industrial grade. This design can not only save you money, but also allows you to choose the tank that most appropriately fits your specific application or material. 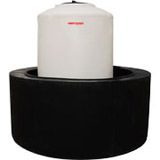 These elliptical large plastic tanks are safe for the storage of potable water and can be used in outdoor areas or locations. If you're unsure about the compatibility of your chemical or would like to discuss fittings, please give us a call +1-772-646-0597. We are more than happy to help you find the tank that will work best for you!